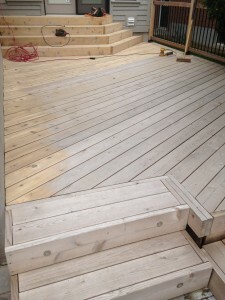 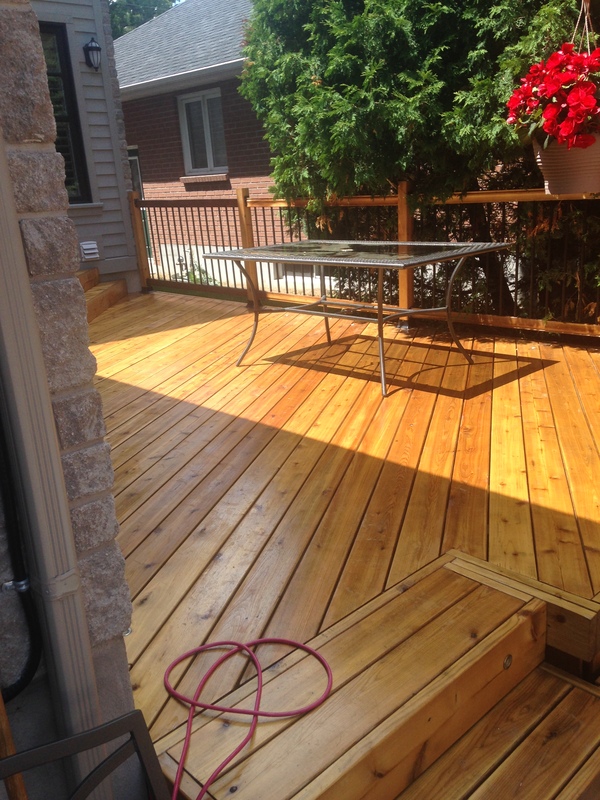 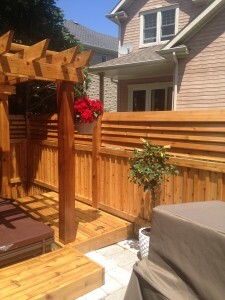 With a beautiful cedar deck built a few years ago, Mr. D’s back yard was looking a bit weathered. With a little help from us, we transformed his weathered back yard into a beautiful vibrant patio space to host dinner parties and enjoy the sun. 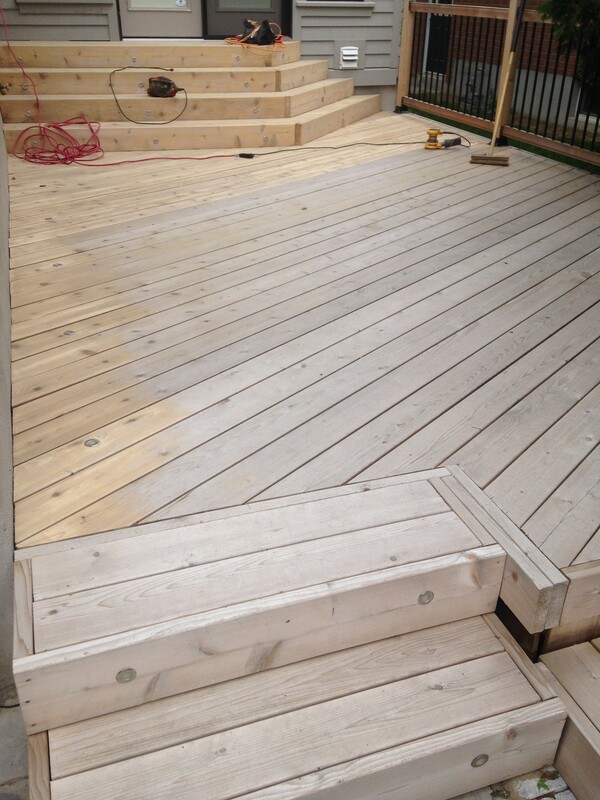 With an 80 grit sand, TSP wash and clear stain we got the job done right while they were on their vacation. 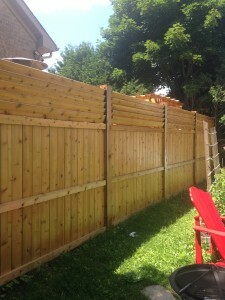 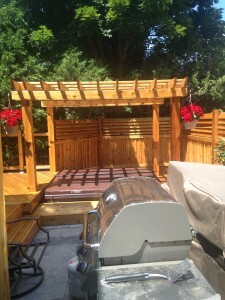 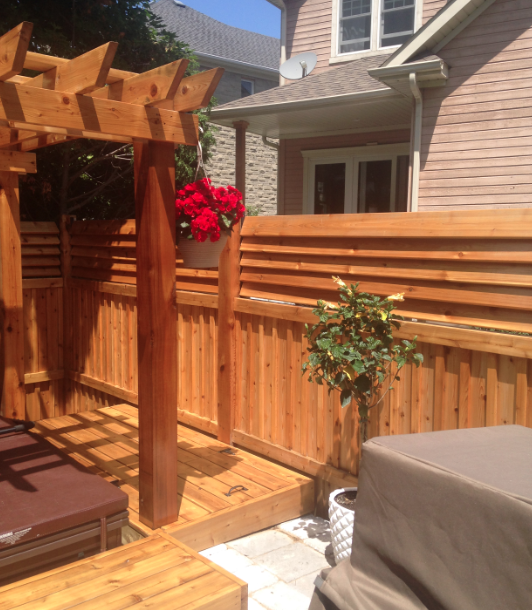 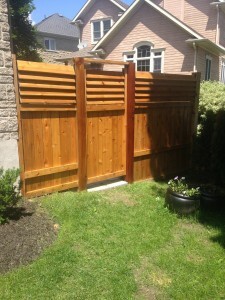 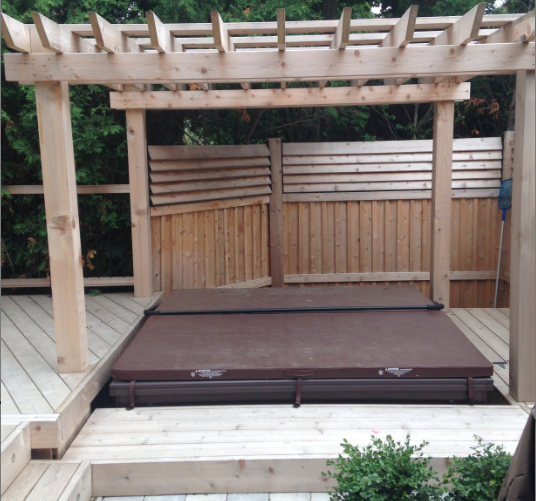 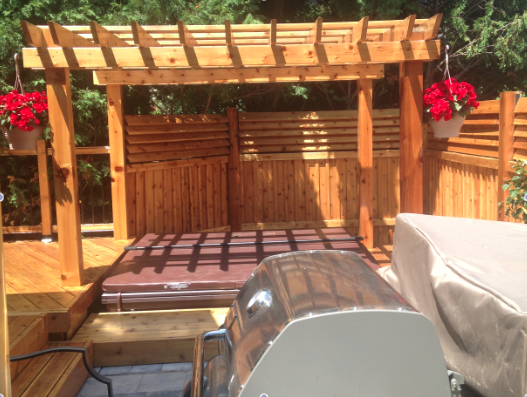 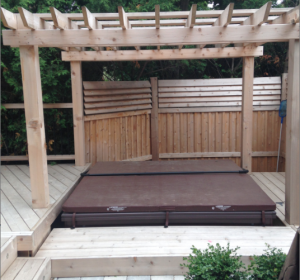 Mr. D and his wife were ecstatic with the result when they got home to see their newly transformed backyard space.